The Eddy County Sheriff’s Office is investigating the homicide of a Roswell man found dead Sunday near the intersection of Four Dinkus and Haystack roads south of Artesia. ECSO deputies were dispatched around 7:30 a.m. Sunday to the area, where they located Danny E. Mendes of Roswell lying in the middle of Haystack Road. Mendes was pronounced deceased, and the ECSO Detective Division was called in to investigate. 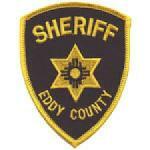 Eddy County Sheriff Mark Cage says that due to the circumstances involving the death, it is being investigated as a homicide. Anyone with potential information is urged to contact Det. Robert Navarrette at 575-887-7551.